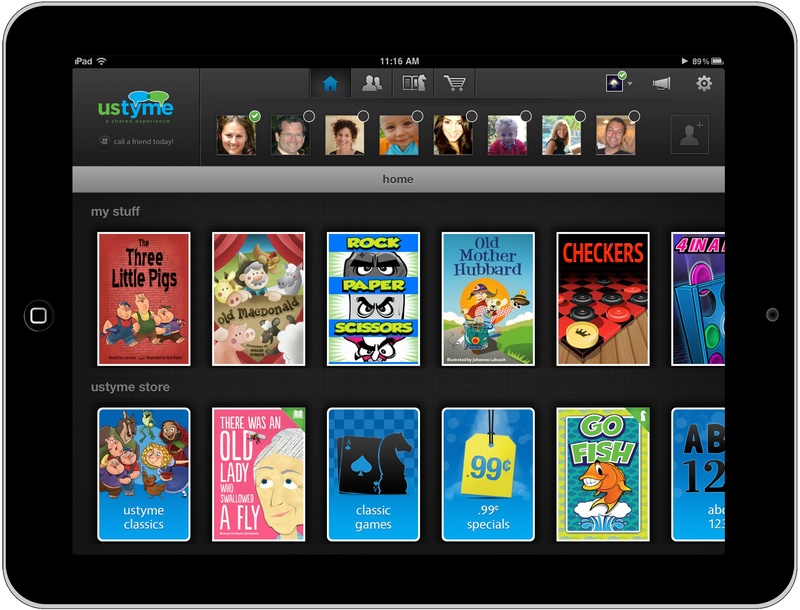 Ustyme is a new video-calling iPad app with a twist: you can remotely read books and play games while chatting. Keeping kids interested while talking on Skype, Facebook or Hangout is a difficult task with just a video feed. 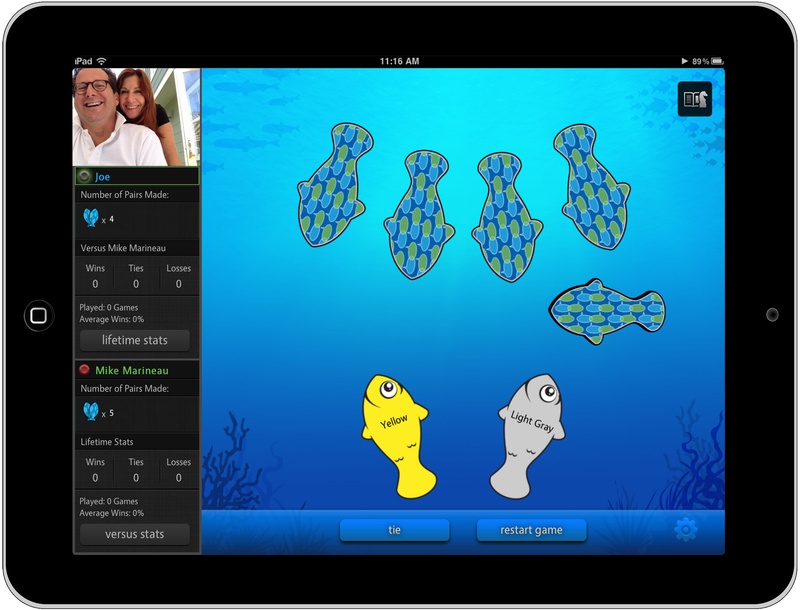 Ustyme aims to solve the problem by adding some fun activities. 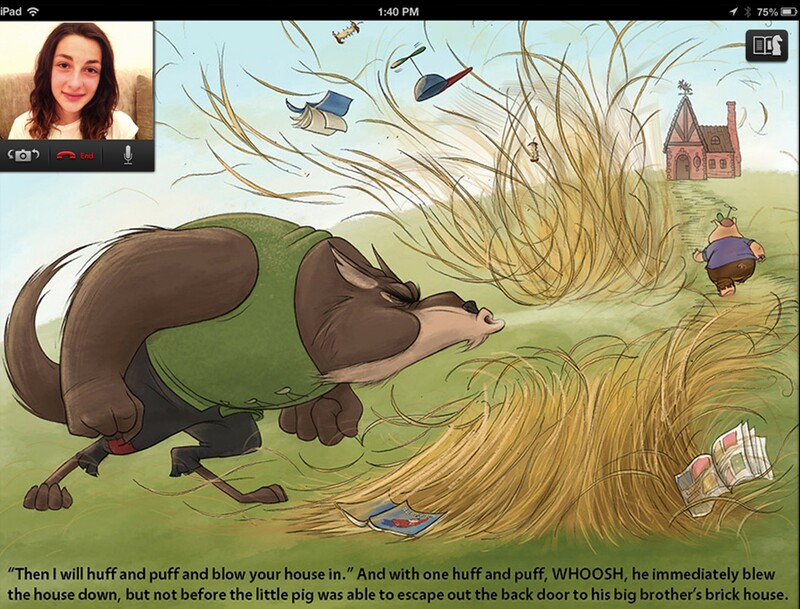 Alongside from basic video calling features, Ustyme includes a content store with simple games like checkers, 4 in a row and chess, and children’s books like Old MacDonald, The Little Red Hen and The Three Little Pigs. Prices start at $0.99. When you’re on a call, all the books and games that both parties have purchased are available for use. CEO and co-founder Linda Salesky created Ustyme after becoming a grandmother and experiencing a personal need for this type of service. “What I realized with a grandson who lives over 600 miles away was that I wasn’t going to be able to share the same experiences that I shared with my daughter that were really important to me like reading books and playing games together,” she said in an interview. Salesky said she wanted to create experiences that her grandson would look forward to – something she felt was missing from existing communications platforms. Ustyme, which is backed by $2 million in angel funding, is going to have some friction to overcome in convincing people to adopt yet another voice calling app, but it will be quite sticky once users begin purchasing content within it and connecting with loved ones. In our opinion, the app needs a bit more polish to really take off, though. The interface feels sluggish, and it has some catching up to do on call quality and stability. Even so, it’s a neat app that should make a lot of grandparents, aunts, uncles, parents, and, of course, kids very happy.